Panels are the padded area underneath the saddle that are directly in contact with the horse’s back. Usually stuffed with wool flocking and covered in leather or serge they transfer the rider’s weight to the horse’s back muscles. There are two main designs each having slightly different characteristics which may suit some horse’s better than others. This is the most commonly seen, where the padded area extends down the front edge of the sweat flap. This extends the saddle supporting area down the sides of the horse. 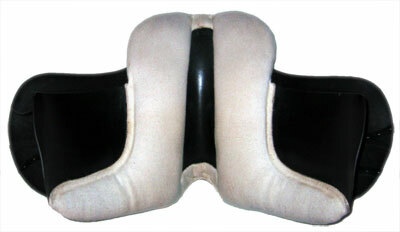 The padded area only extends at the front to cover the points of the saddle. 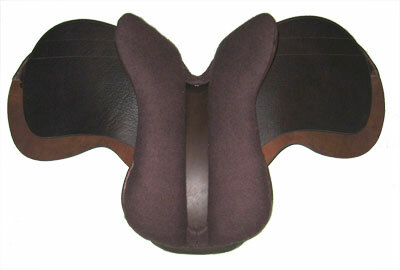 This leaves more room for the shoulder blade to rotate and is an option we recommend for certain horse types.